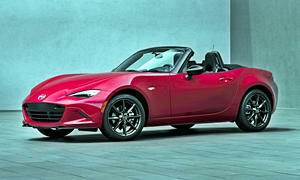 The first car that comes to mind that is fun to drive and fairly reliable is the Mazda Miata. Another convertible that is fairly reliable is the Buick Casada but it has a lot of buttons and is not as much fun to drive (don't get me wrong, it still drives well but it is not as sporty as the Miata). 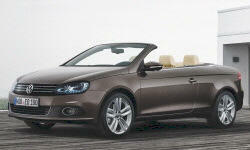 A fun convertible that is not as reliable you can get the VW EOS. There are not many convertibles in your price range. These three you probably can get used in your price range. I would suggest you test drive the first two I mentioned as at least they are reliable. You basically defined the Miata. All you have to do is look at every automotive website or speak to any car enthusiast to find that the Miata is the best bang-for-your-buck fun car you can buy. I had one a long time ago. You can put the top up or down without exiting the car, which I don't think any other convertible can do. 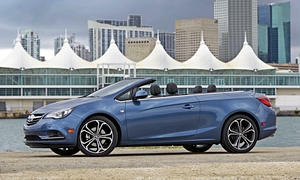 The Buick Cascada may be reliable, but it weighs almost 2,000 lbs more than the Miata. The Cascada is not tuned for handling as there is no steering feel. The infotainment is old. The interior is old and very ugly with too many buttons. Comparing new vs. new, the Miata is $10k less than the Buick. They won't be as reliable as the Miata. It is kind of a modern day Toyota Solara: an appliance. The Eos was very unreliable and worse than the Buick. Skip MINI, Fiat, Pontiac Solstice, and Saturn Sky. While I agree with the two earlier posts on the fun and reliability factors--the Miata cannot be beat--it does not meet the 4-seat requirement in your criteria. So . . . considering that issue, I'd suggest looking at an Audi A4 Cabriolet, and possibly a Chrysler Sebring. Neither are known for reliability, but if you can find a good one they will fill your need. I'm not sure of the used cost, but Nissan made a convertible version of the Murano for a while. It's quirky but you'd not see yourself coming and going much at all. 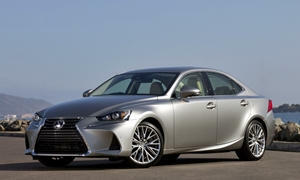 At a little more than you've listed, a Lexus IS250C might work & would be a nice ride. Most certainly would be more reliable than some other choices. Depending on your taste and how new you want to go, a nicely kept or restored Fox body Mustang from the late 80's/early 90's could be bought well under your price point. Others? Toyota Solara, Chevy Camaro, several Mercedes and BMW models. Great comment by BDubya. The Miata only seats 2, so that it out from the ones I mentioned. The Toyota Solara has not been made in years so that is why I did not mention it - it is probably too old for you. Chevy Camaro is a different kind of car but does fit your budget. 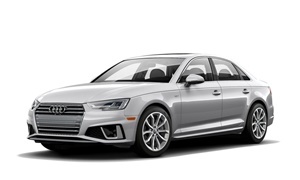 By all means if you can find an Audi A4 in that price range go for it - but I don't think you can. Cars that best fit your budget are the Buick Casada, VW Eos (but worry a little about the reliablity), and Chevy Camaro. If you need 4 seats I'd get a Camaro. The Miata isn't always the answer if you need 4 seats. If you buy an Audi for $12500 it is bound to have problems soon. The Camaros had decent reliability. Just don't buy a 2010 because those had timing chain and airbag issues. 2013 had infotainment problems. The Eos was also unreliable and expensive to fix like the A4 Cabrio. 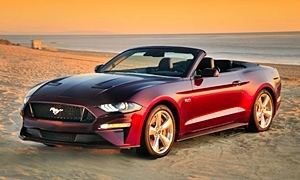 The Mustang Convertible is another good one. They were all reliable from 2010 to 2014. The most common problem was corrosion build up on the hood. 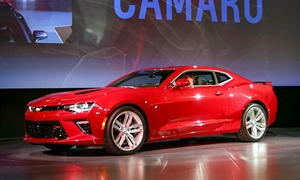 I avoided the Mustang as while TrueDelta does not show much in bad reliablity, Consumer Reports does. It shows problems as recently as 2017 with the In Car Electronics (in just one year over 5% of the owners reported problems with it). 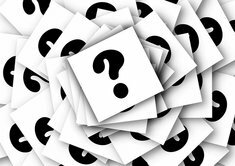 Older years had electroinics problems, climate system issues, and body hardware issues reported. In 2017 there has been a slight problem with the transmission as well. I don't know what happened to Ford quality but it has been not quite as good recently. If you go for the Mustang, stick with 2013 and 2014 - the problems are less those years according to CU. Carcomplaints did not show these problems either. I think you'll have a better chance with the Camaro. Ford reliability has been pretty bad lately. The Mustang from 2010 to 2014 didn't have much technology in it, so there were less things to go wrong.